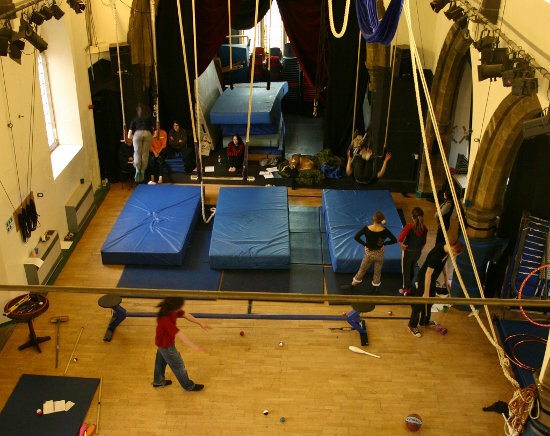 Built into an old converted church like many a circus training centre, Greentop offers (very cheap) private training whenever the space is open and not being used for classes. They keep an online calendar so you can check when the facilities are free. Note also that there's an induction for visiting artists that needs to be booked at least a week in advance; don't just rock up.